Today, we think of the imagination and desire as purely “subjective” things that have no bearing on reality. But as Eros and Magic in the Renaissance shows, this wasn’t always the case. In fact, in this regard, as in so many others, our modern view is a very new aberration, and a relatively ill-considered one at that. Eros and Magic in the Renaissance is both a first-rate historical sketch of the transition from the flourishing of magic, animism, and nuanced views of the human psyche of the Renaissance to the flat, mechanistic view of the post-Renaissance world, and one of the best books on the philosophy of magic that I’ve ever read. 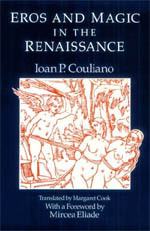 Couliano was both a magician and a scholar who worked extensively with the famed historian of religions Mircea Eliade, and his work is both academically rigorous and informed by perspectives that aren’t usually considered by academics, which brings a great freshness and vitality to his work. The book traces Renaissance views of magic, chiefly as they relate to the powers of the imagination (vis phantastica) and desire (eros). The lives and works of Giordano Bruno, Pico della Mirandola, and Marsilio Ficino receive especially extensive treatment, with Bruno’s magnificent On Bonding in a General Sense being in many ways the cornerstone of Couliano’s analysis. He then shows how the Protestant Reformation, far from being a liberalizing movement within Christianity, was actually an ultraconservative movement. 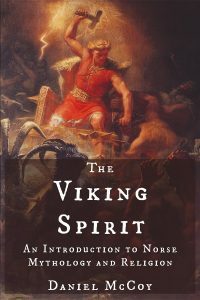 Its fundamentalist desire to strip Christianity of the last vestiges of animism that had surreptitiously survived under the comparatively lax auspices of the medieval church cast considerable suspicion on any enchanted view of the world. 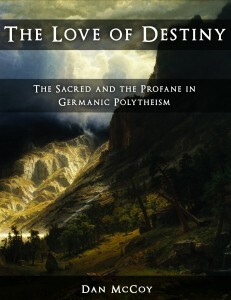 The sciences of the period had been divided between the “natural magicians” like Paracelsus on the one hand, and, on the other, the proto-mechanists, those who held the view that the world was essentially a giant machine, devoid of will and spirit, with those latter qualities residing solely in the human brain and the dualistic, remote Christian spirit world. The latter view, in a slightly modified form, is the underlying worldview and mythology of the dominant strains of modern science. But, counter to the triumphalist idea that the mechanistic worldview won out over the magical, animistic one because it was inherently better or more rational, Couliano shows how it won the debate by being more congruous with the puritanical sentiments of the period. The debate was not between reason and unreason, as the partisans of mechanism typically frame it; rather, it was between two different and incompatible ways of perceiving and experiencing the world, two different mythologies, two different sets of premises. After reading Eros and Magic in the Renaissance, you’ll never see magic or science in the same way again. Click here to view or buy Eros and Magic in the Renaissance at Amazon.com.